$25.00 In stock. Order in the next 1 hour, 17 minutes and it will go out today! 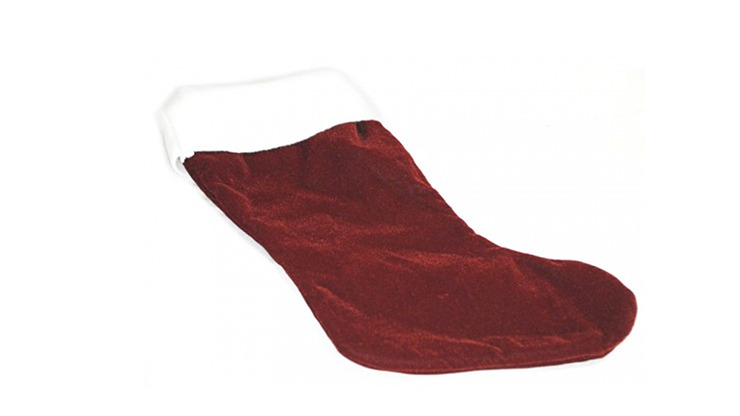 If a Change Bag and a Christmas Stock had a baby, it would look like the Christmas Stocking Tote Bag. It's the perfect prop to make holiday colored silks, candy canes and all sorts of magical stocking stuffers appear. This beautiful velvet bag with white trim will get your audience in the Christmas mood. You can turn it inside out and show it empty, but when you reverse it, you can pull out any small load, or cloth props such as silks, mittens or Santa's Underwear! candy canes and all sorts of stocking stuffers! Use it for productions, switches, color changes, etc. Use it as you would any Change Bag. Great for productions, switches, color changes or transformations. This is a multi-use utility prop for your holiday show. Have it on hand to add a touch of seasonal magic to your show.